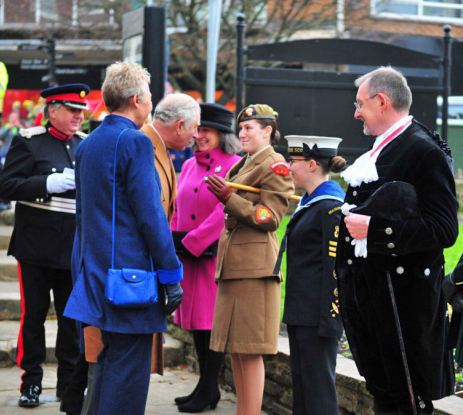 Prince Charles and The Duchess of Cornwall paid a visit to Cambridgeshire where they visited Cambridge, Ely and Wisbech. The Lord Lieutenants’ Cadets were on parade supporting Mrs Julie Spence OBE QPM, Her Majesty’s Lord Lieutentant of Cambridgeshire for the visits. Cadet Sergeant Major Mason Annis of Cambridge detachment, Cadet Warrant Officer James Smalley of Ely detachment and Cadet RSM Darcie Tegerdine and Leading Cadet Sarah Eames both of Wisbech detachment attended the event on November 27. 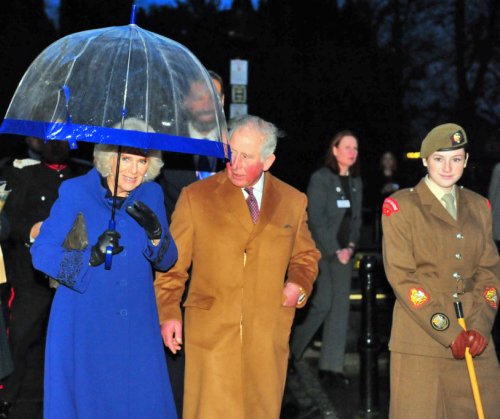 The Prince of Wales and Duchess of Cornwall visited various locations around Cambridgeshire including Addenbrooke's Hospital, Thomas Parson's Charity almshouses, The Stained Glass Museum, Ely Market and The Parish Church of St Peter and St Paul. Mrs Spence said that the cadets were excellent, a real credit to their Corps and she very much appreciated their attendance and support. She hoped that all four Cadets found the experience rewarding and interesting, and that they enjoyed their day.